Viru must have been delighted by the two knocks that reminded of him. They were the kind of innings that Virender Sehwag would play, the thrilling encounter between the Chennai Super Kings and Kolkata Knight Riders became a high scoring cliffhanger only because Andre Russell's tremendous innings of 88 off just 36 balls was followed Sam Billings's bamboozling effort of 56 in 23. 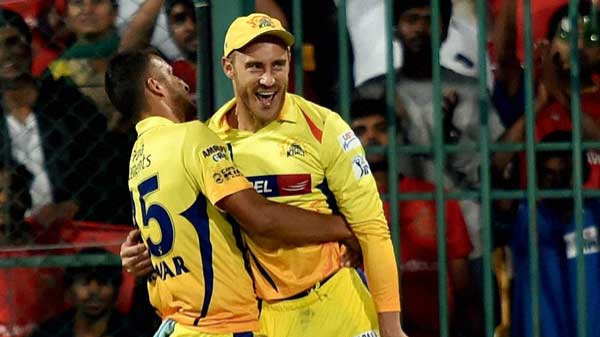 Russell went on to sparkle his knock with eleven huge sixes for KKR to set a highly substantial score of 202, while Sam Billings just took off in the run chase and resurrected the hopeless looking situation into a match-winning one for CSK as they chased the target in the final over. Virender Sehwag who himself scored two hundreds in his Indian Premier League career, and played some other memorable knocks took to Twitter to appreciate the two extravagant knocks by the fantastic cricketers. His tweet read, "What a welcome back to the IPL for Chennai. First Russell’s 11 sixes, then Billings ‘ brilliance and a Chennai victory. Romba Nalla!"